The Geodesign Lab is an interdisciplinary collaboration between Architecture and Geography focusing to integrate geospatial information systems (GIS) into the analysis and the design of urban landscapes and urban environments. Challenges and questions of the built environment have rarely, at any time, corresponded to traditional disciplinary or professional boundaries. Through linking different disciplines the Lab aims to develop new possibilities for design proposals that go beyond the traditional border of architecture. 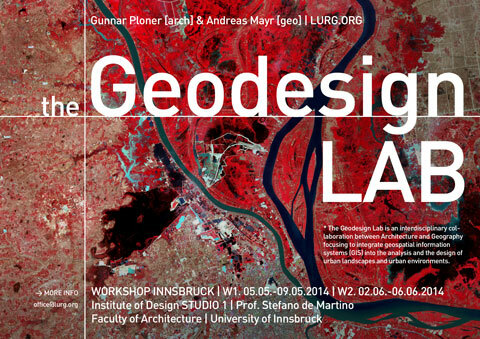 The Geodesin Lab workshop was initiated by Gunnar Ploner and Andreas Mayr at the Institute of Design Studio1 – Prof. Stefano de Martino at the Faculty of Architecture, University of Innsbruck.